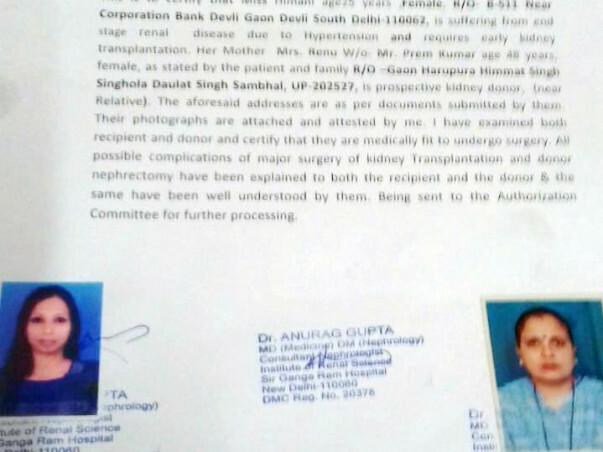 Help Himani Suffering From End Stage Renal Disease For Transplant. My name is himani and I am 25 years old. Am suffering from renal disease. Doctors suggest me for kiddny transplant operation. My mother is giving me her kiddny as a doner. 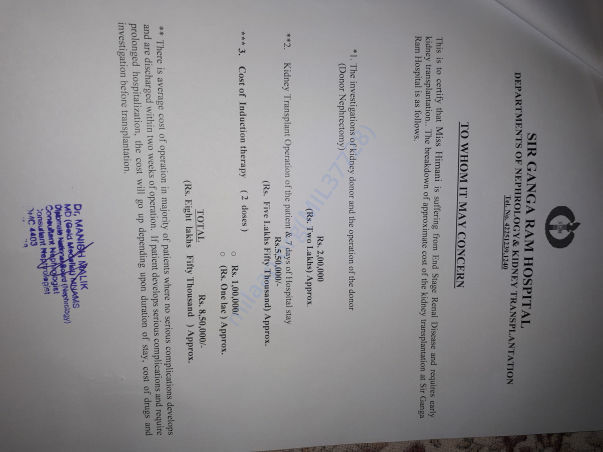 For kiddny transplant operation we rs.850000 this much of money is very big amount for our family. 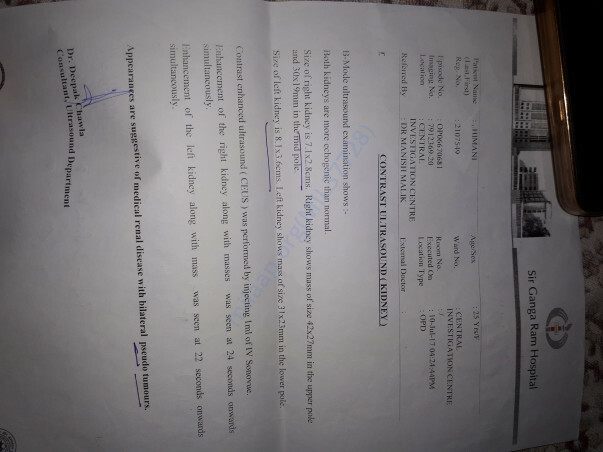 As my mother is house wife and my father is auto driver.we urgently need financial help. Please do the needfull for us ASAP. I am grateful for the love and support showered on Himani. She is presently undergoing treatment and her infection has increased. She was being treated with plasma when her infection had increased. She has continuous pain below her eyes. 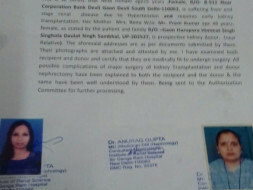 The doctor have increased the treatment and suggested to do the transplant as soon as possible. We are waiting for more funds so that we can do the transplant soon and take her home. Please keep praying for her good health and share the campaign. Thanks to one and all for the love and support given so far. Thank you for the wonderful support you have shown towards my campaign. Currently, I am the hospital with my mother. There has not been much progress in my health. 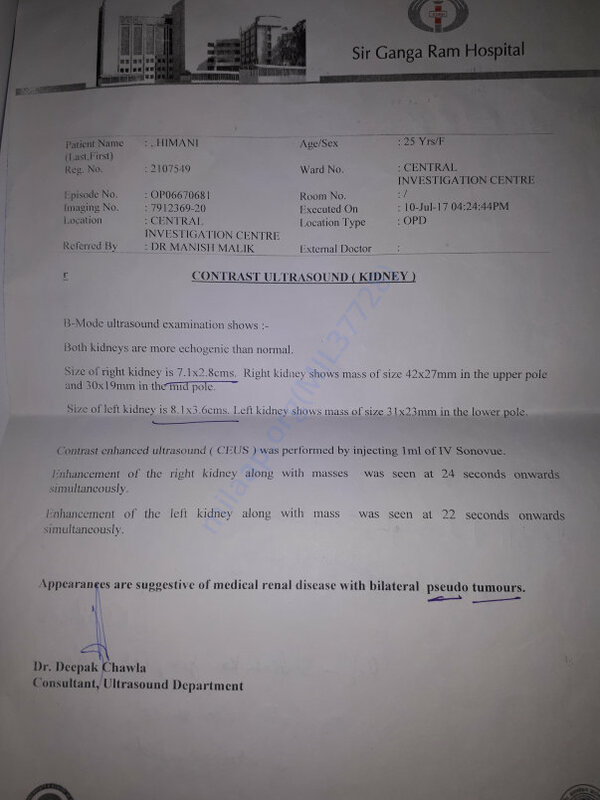 Recently, I was rushed to the hospital as my health was deteriorating, I had high fever and was facing problem with breathing, and now I am diagnosed with tuberculosis. Doctors are of the opinion that it can take 4-6 weeks to cure Tb, post which they can proceed with the transplant. I am currently undergoing dialysis twice a week and on medication as prescribed by the doctors. Please share this campaign with your friends and family to help me continue the treatment.